Alicia Raquel is an interdisciplinary performance maker whose work is about engaging audience in the winding, painfully beautiful, and evolutionary process of embodiment in the 21st century. She is a California Arts Scholar, founding member and former dance department head at United Roots Oakland, and former artistic director of the Destiny Arts Junior Company. She has performed with Arthur Aviles Typical Theater, The NWA Project, Methods of Perception and presented original works at La Mama, Schermerhorn Theater, and in site-specific performance with Art in Odd Places. She teaches with Sadie Nash Leadership Project and Alvin Ailey Arts-in-Education, and is working toward an evening length version of her original work “Hips, Hands, Tongue” to premiere in the fall of 2016. Her creative process draws on her dance, writing, martial arts, visual arts, yoga and popular education practices and aims to bring fearless honesty to human interaction. Jonathan Gonzalez is a New York-based artist. Currently a 2015-16 BAX/Dancing While Black Fellow and choreographer with the Possibility Project. His work has been presented at venues such as BAAD!, Wimbledon College of Art, Socrates Sculpture Park, Danspace Project, and most recently in collaboration with EmmaGrace Skove-Epes as part of New York Live Art's Fresh Track series. He has had the pleasure to work with Patricia Hoffbauer, Ni'Ja Whitson, Will Rawls, Urban Bush Women, and Jaamil Olawale Kosoko in varied disciplines. Since moving to New York from Virginia in 2009, Katie Dean has performed with choreographers/visual artists Xavier Cha, Courtney Cooke, Megan Harrold, Hannah Walsh and Rebekah Windmiller, in cameo roles for Stacy Grossfield and Nora Stephens, and in collaborative performances with Heather Bregman, Jake Dibeler, Alaina Stamatis, and others. She is currently a performer with Kim Brandt, Julie Mayo, Nadia Tykulsker, and Shannon Hummel/Cora Dance. Katrina Reid is a performing artist and writer. She currently has the great fortune to work with David Thomson, Okwui Okpokwasili and Peter Born, and is a new company member with Third Rail Projects. 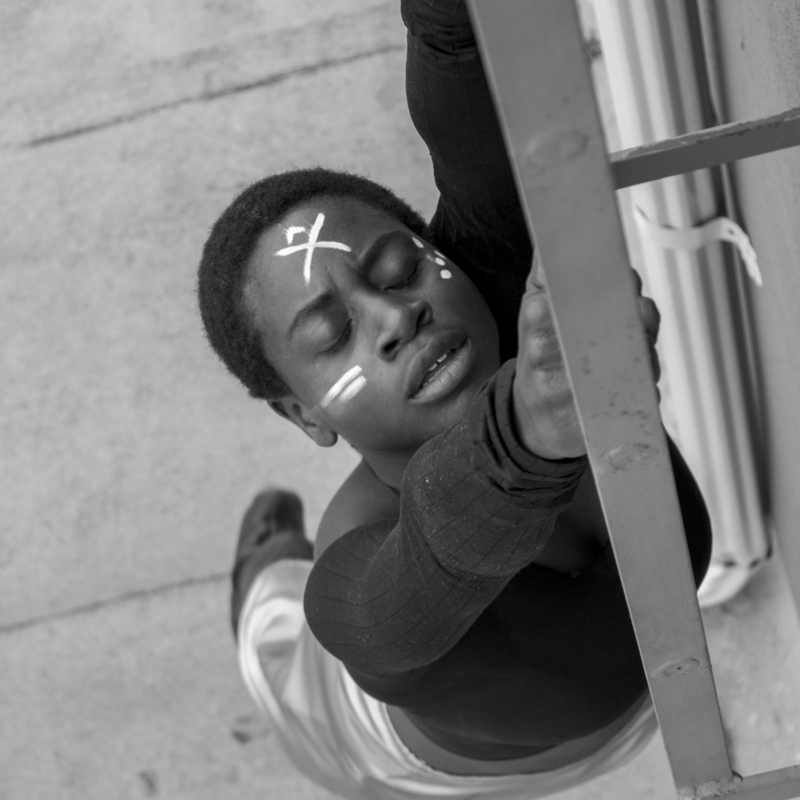 Her own work has been presented at Cocoon Theatre, Studio 26 Gallery, BMCC Tribeca Performing Arts Center, Warefamos, Dance Chance Atlanta, Florida A&M University, and most recently for Gibney Dance's Double Plus series, curated by Jawole Willa Jo Zollar. Kym Bernazky is a self-producing artist and New Yorker. Whether encouraging the audience to throw pies or surprising them with gospel choirs, her artistic approach centers on creating moments of surprise and delight for audiences. She was the artistic-director of Six Characters (1997−2008) the all-silent, postmodern-vaudeville ensemble. In 2010, Kym founded Collision Productions, an immersive theater company striving to redefine audience-performer dynamics, most notably with "We Might Be Experimenting On You, Plasticland: A Better Place." She has read to pigeons in Ann Hamilton's "The Event of a Thread" at Park Avenue Armory, created MEDEA BLITZ with William Cook, and most recently, was seen in NOVACATION at the IRT, trying out her first one woman showShaMBLES at Dixon Place and working on "The Show With Nothing In It" at Triskelion's Never Before: Never Again Festival. Lydia Mokdessi is a Brooklyn-based dance artist and writer from Chicago, Illinois. She has worked with choreographers Anthony Gongora, Heather McArdle, Alexandra Pinel, Emie Hughes, Anna Sperber, Stormy Budwig, Buck Wanner, and Maida Withers. Her work has been presented by Gibney Dance, Movement Research, The Living Gallery, Dixon Place, and Brooklyn Arts Exchange. She currently works with Stormy Budwig, and Buck Wanner, and collaborates with performer/musician Benjamin Wagner. Lydia is editor of Culturebot and her writing has also appeared in American Realness Reading and Movement Research Critical Correspondence. She is a 2016 Guest Curator for the CURRENT SESSIONS and co-organizer of Community of Practice, an initiative for early-career artists and writers supported by University Settlement. My name is Nehemoyia. I'm a Brooklyn based performance artist. My main concern right now is adding to the conversation that Black Spirit matters in addition to the physical life, which should not need a disclaimer. But in this country, and within this paradigm, does. My purpose right now is to collect the bones. To gather the information hidden deep within the DNA. To ask that we concern ourselves with the presence of blackness as it pertains to the wholeness of the spirit which employs the body to exist. To question the pragmatism of Eurocentric spirituality in response to Black genocide and ethnocide. To look to African indigenous knowledge systems for radical technologies pushing us toward self-development, healing, sustainable economics, equity and justice. My mission is to reevaluate the importance and relevance of this knowledge to our survival. I'm an artist, this is the tool I've been given to communicate with myself, and with you. And to make sense of what I am experiencing on this journey Home. Thank you for being here.